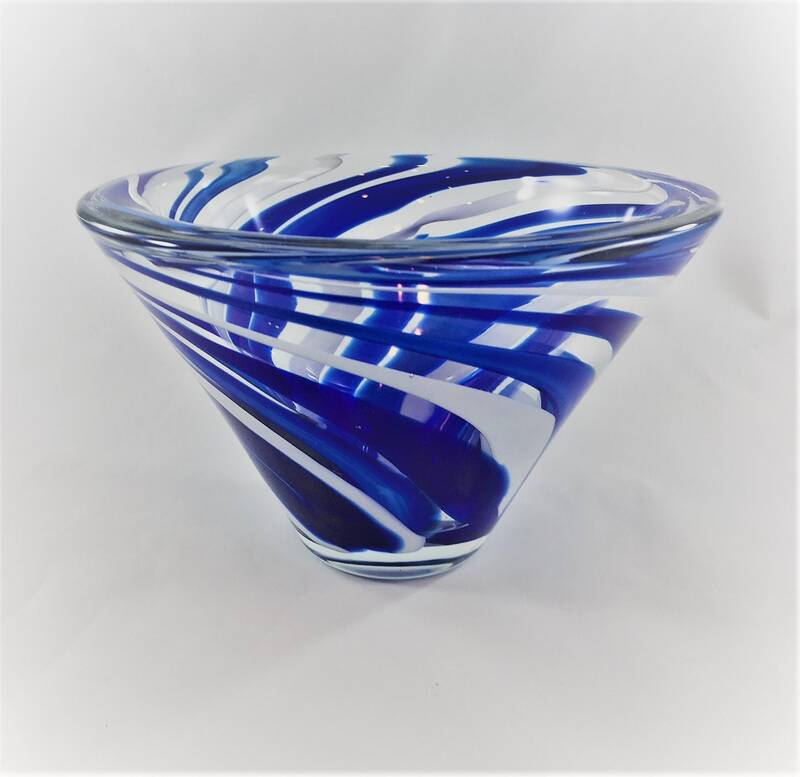 Featured is a stunning art glass vase or bowl. 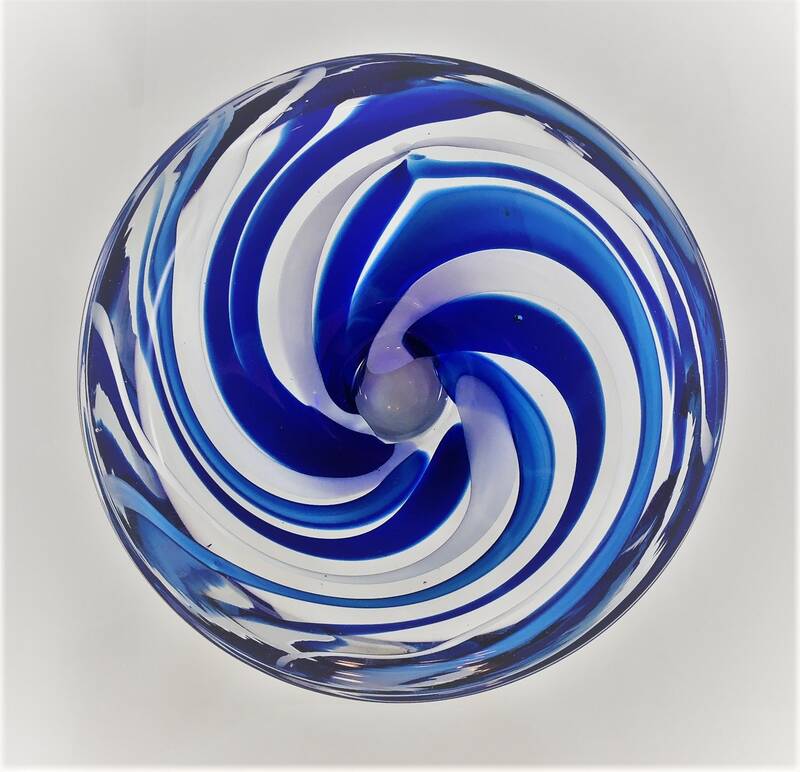 This cone shaped bowl with blue and white swirls brings pizzazz and flair to any room. 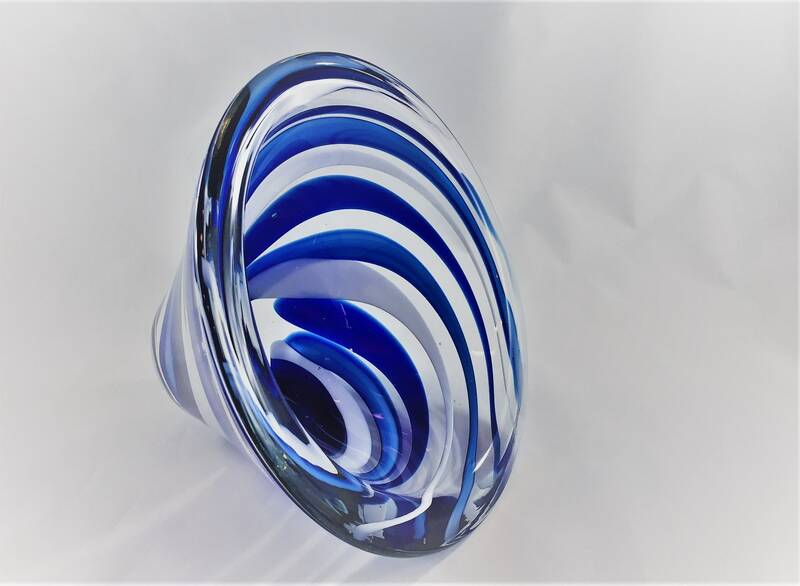 It's the perfect size to stick on a shelf or bookcase for a splash of color. A nice decorative accent piece or a functional trinket catcher. 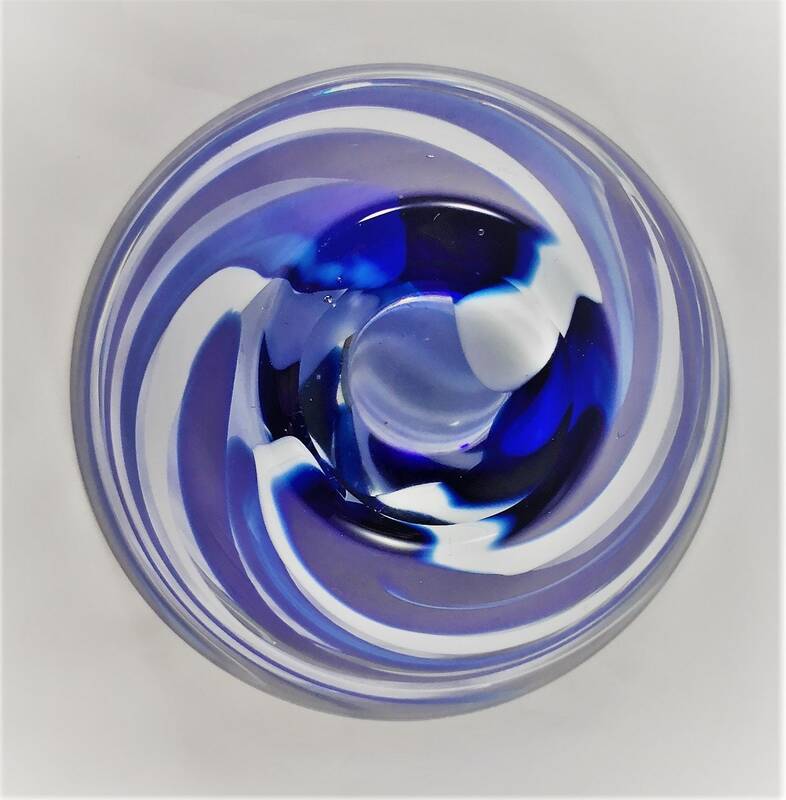 Measures about 4 1/4 inches tall and about 6 1/2 inches in diameter at the rim. 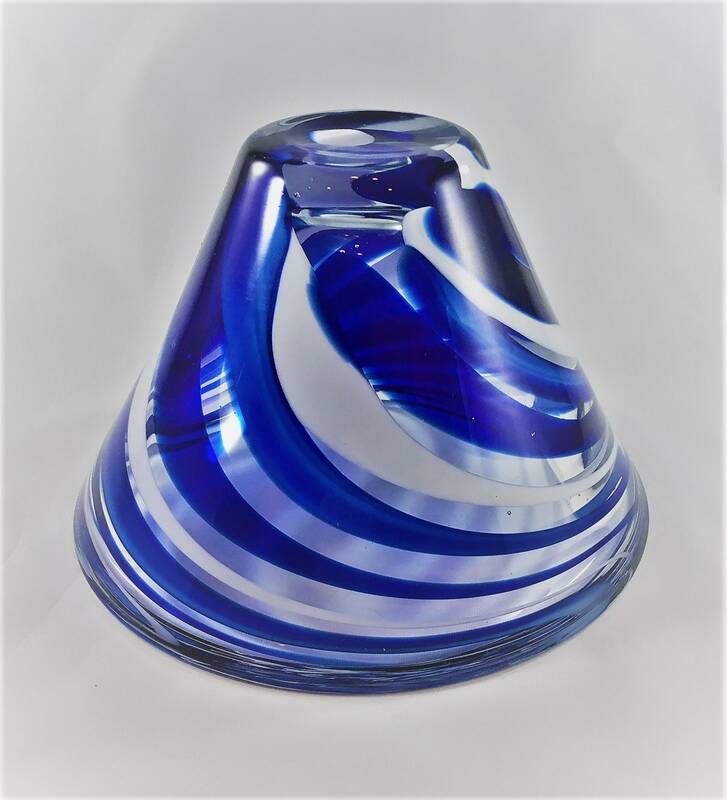 Made from thick, heavy glass, this piece is in excellent condition, free from any chips or cracks.